Jim Barone a Tribute to Elvis – Saturday, 2/18 from 7-11pm. Admission $30 includes Beer, Wine and Soda. 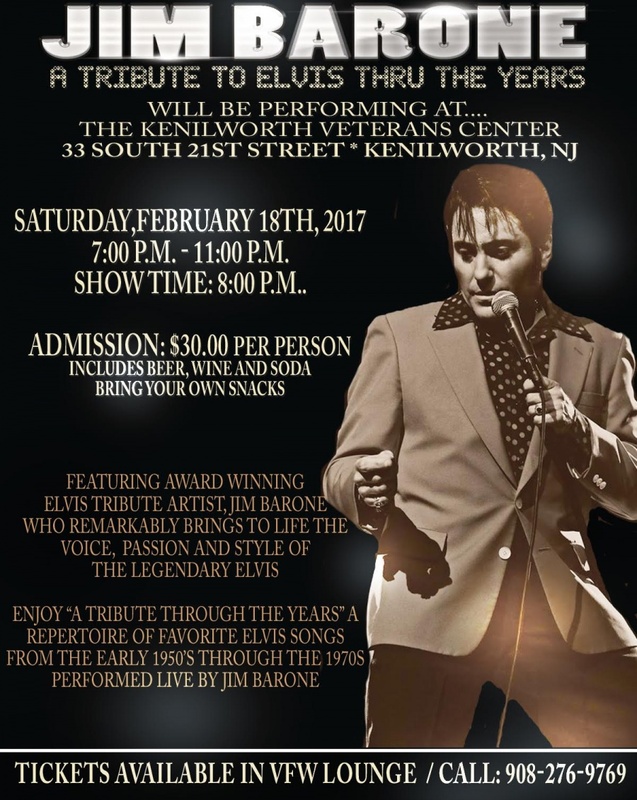 Kenilworth VFW has a new website! 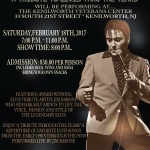 Kenilworth VFW has a new site! We’re now mobile friendly and ready to start getting news and announcements out to you! Check back for new features and updates to our site! 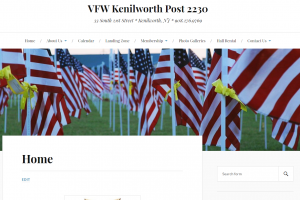 If you are seeking information about membership in Kenilworth Veterans VFW Post 2230 contact Bill Salzmann Post adjutant at kvc.secretary@gmail.com or call Robert Jeans Post Commander at 908-578-3919.